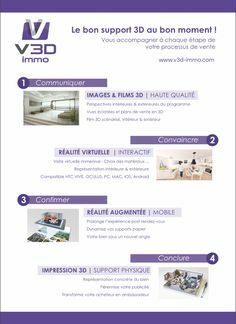 VISIMMO 3D is a team committed to excellence, close to the CEO and founder Laurent Soubrevilla. 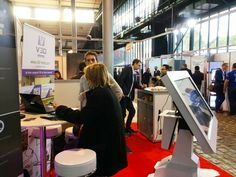 Before he founded VISIMMO 3D, Laurent Soubrevilla worked over 7 years as a project and R&D team manager. He began his career at Société Générale, analysing counterparty risk on market transactions. His career continued with the design of tools for financial analysis for Day By Day, leader in technical analysis of the market. He then became responsible for approval of applications. Laurent Soubrevilla is graduated from EPITA (Graduate School of Computer Science and Advanced Technologies) and has an expertise in Cognitive Science and Artificial Intelligence. Marc Poisson has eight years of experience in carrying out 3D projects in the advertising and communication fields. Involved since the very beginning of 3D VISIMMO, he is responsible for the technological intelligence and the technical team, specialized in processing real-time 3D environments and formed by computer engineers and experts in modelling, as well as in pre-calculated and real-time 3D scene composition. Formed at EPITA and specialized in multimedia, Marc Poisson is an expert in 3D modelling techniques and real-time applications. 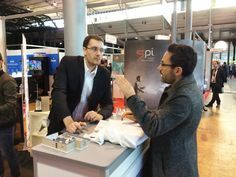 Yoann Fabre graduated from EPITA, first in year 2000. He specialized in Cognitive Science and Artificial Intelligence. 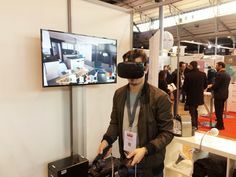 He participated in the early years of the adventure of EPITA Research and Development Laboratory (LRDE) before founding with Laurent Soubrevilla the companies EPIPHYTE in 2005 and VISIMMO 3D in 2007. Today, even though he took the Head of the company Epiphyte, in which he is involved in issues of high-frequency trading on liquid future markets, Yoann Fabre remains the closest advisor of Laurent Soubrevilla. 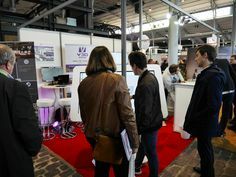 "VISIMMO 3D will actively pursue its development strategy of the V3D Events platform, while maintaining the same level of quality in the all business units. Together, the V3D team will build a leading company in the 3D business environment while serving its clients digitally adapted high quality solutions."